And that's the reason that today we have decided to serve you with the comparison between those two product which have not only arrived from best companies in field but also are always referred as best among others which are available in a same price range. 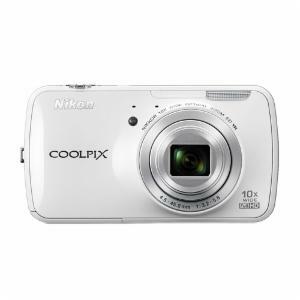 First product can be mentioned as samsung galaxy camera which is one of the latest additions on racks and other one is from house of nikon which is known as nikon Coolpix S800c. 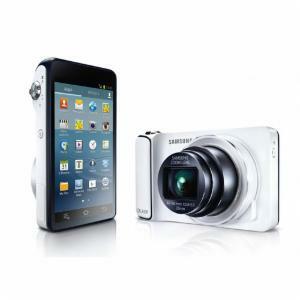 Although this product (samsung galaxy camera) from the house of samsung is new but there is no doubt that this product has already taken control over most area in specific field. That's why most companies have already started working in direction to provide a better product from same. And on the other hand as we all know nikon is a company which has been catering this section of requirement since some time now, and there are no second thoughts about the fact that this is working much better than others in fact that's the reason this company is enjoying a much better position than all those as well. Network - In case you came here with an assumption that nikon digital camera would come out as a brighter competitor than think hard and think again as in this particular section samsung has won the battle that to without fighting at all. As because were nikon is only and only available with Wi-Fi support samsung has decided to provide us much more for example 3G support with HSPA + D/L 21 Mbps, U/L 5.76Mbps. Display - moving on to display part even here we can find that nikon is providing us a 3.5 inch OLED touch screen only were as samsung has designed its product around a 4.8 inch super clear touch display. Operating system - this is again an area were samsung has provided us what can be mentioned as latest with android 4.1 jellybeans and on the other hand nikon digital camera has came up with an older Version of android which is also known as gingerbread 2.3. Processor - if you chose to work with samsung you can work with a 1.4 GHz quad core processor and in case you end up with nikon digital camera you work with 1.2 GHz dual core processor. Memory backup support - like most other in market nikon is here with 2gb internal memory support but you can add more space for work with the help of addition and external supports, but samsung is on the upper hand over here as well as it is coming with eight GB internal memory support with external additional. With all the various points we have mentioned till now and all those which are yet to be discovered we can say that samsung is moving far head of nikon and in case this company want to save itself it’s important that nikon soon arrive into market with something new and better. Otherwise one can say that samsung can take over the position nikon has been taking care of since some time now. Author Bio : Lynne Austin is a budding freelance tech writer, gadget and Photography enthusiast, and social media junkie. She writes regularly about Digital Cameras and has been written several articles on Nikon Digital Cameras and Samsung Digital Cameras.